"Martin Duberman is a national treasure." The past fifty years have seen significant shifts in attitudes toward LGBTQ people and wider acceptance of them in the United States and the West. Yet the extent of this progress, argues Martin Duberman, has been more broad and conservative than deep and transformative. One of the most renowned historians of the American left and the LGBTQ movement, as well as a pioneering social-justice activist, Duberman reviews the half century since Stonewall with an immediacy and rigor that informs and energizes. 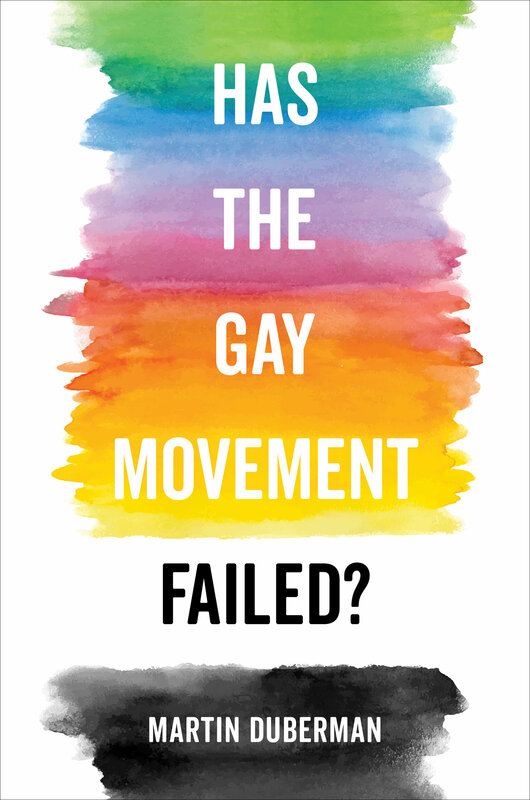 He revisits the early gay movement and its progressive vision for society and puts the left on notice as failing time and again to embrace the queer potential for social transformation. Acknowledging the elimination of some of the most discriminatory policies that plagued earlier generations, he takes note of the cost—the sidelining of radical goals on the way to achieving more normative inclusion. Illuminating the fault lines both within and beyond the movements of the past and today, this critical book is also hopeful: Duberman urges us to learn from this history to fight for a truly inclusive and expansive society. Martin Duberman is Distinguished Professor of History Emeritus at City University of New York, where he founded and directed the Center for Lesbian and Gay Studies. He is the author of numerous histories, biographies, memoirs, essays, plays, and novels, which include Cures: A Gay Man’s Odyssey, Paul Robeson, Stonewall, Black Mountain: An Exploration in Community, The Worlds of Lincoln Kirstein, and more than a dozen others. He is the recipient of the Bancroft Prize, multiple Lambda Literary Awards, and the Lifetime Achievement Award from the American Historical Association, and he has been a finalist for the Pulitzer Prize and the National Book Award. In 2012 Duberman received an honorary Doctor of Humane Letters from Amherst College and in 2017 an honorary Doctor of Letters from Columbia University. “Martin Duberman offers us an important provocation with Has the Gay Movement Failed? Raising crucial questions about our movement’s direction in the half century since Stonewall, he also asks how the left and queer activists can work together now. Duberman’s long experience and humane vision offer us both tough love and hope in this time of renewed crisis.”—Lisa Duggan, author of The Twilight of Equality?